Getting on the property ladder is a tough ask for many young people these days, however, with careful consideration, time, and dedication you can start your climb up the property ladder. However, there are many things you need to consider before you take the necessary steps to own your first property. But these things can also be helpful when it comes to your second, third or even tenth property. There is always one valid point to remember when it comes to properties, it will always be one of the most expensive purchases you make in your lifetime. Moving house, whether that is your first starter home, a new build development, or even a luxury mansion is never easy, and it isn’t known as one of the most stressful things to do for nothing. Not only is moving tough, but the level of paperwork and the cost can be astronomical. But, it is a dream for many to live in a property they own so hopefully these tips and trick will help you do it and climb that property ladder faster. Sometimes the area you are looking for homes in can be pricey. Whereas other more developing areas can be a steal when it comes to the overall price. This is why the location of your property is very important. Searching online for real estate will give you a bigger indication of how far your finances will stretch. If you can, consider relocating to different areas. It could be the ideal time to consider a new place to live or even a different state or country if the opportunity arises. One of the biggest minefields when it comes to property is working out what you can afford to spend. Thankfully your bank's mortgage calculator online should be able to give you an idea on the monthly payment and how much deposit would be required upfront. However, it isn't just about affordability for you on a monthly basis, it is also calculated of the amount of income you bring in each month. But if you are unsure, speak to a financial advisor who will be able to tell you what position you need to be in. 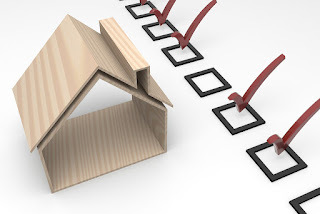 This is valuable knowledge when it comes to a property search. Once you are on the property ladder and paying out for your mortgage payment, it can be tempting to just leave it at that. But if you can, try and make overpayments on your mortgage no matter how small and insignificant you think it might be. This is a great way to become mortgage free faster, or certainly, give you more equity when the time comes to sell and move on to the next property. Finally, if you can try and cut your outgoings down and increase your disposable income. Doing small things like reducing your food bill or switching an energy provider could provide you with much-needed funds to top up your savings or overpay your mortgage. I hope these tips help you climb the property ladder.